A new study has found links between consumption of GMO soybean oil – used widely these days in restaurants in both the US and the UK – and liver dysfunction as well as possible weight gain. 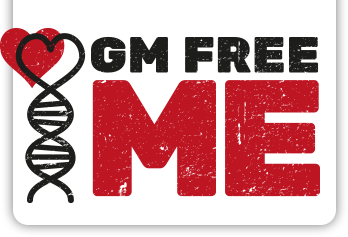 A number of our supporters have noticed that restaurants local to them use GMO oils and they have question about the possible health effects of this. A new study provides some uncomfortable answers. In the UK, restaurants – from fast food to high end – regularly cook with GM oils including soya oil. Restaurants and other establishments are legally obliged to indicate on the menu – including online menus – if they are using such oils. However, UK Trading Standards reports show that most don’t. That means that customers – unless they ask specific questions, and in some cases ask to see the oil cans – never know if their food is being cooked in GMO oils or not. In addition, most conventionally reared livestock is fed on GM feed, including added oils in the UK and the rest of Europe. This is another way that GMO oils can get into our diets. But what happens when you eat it? 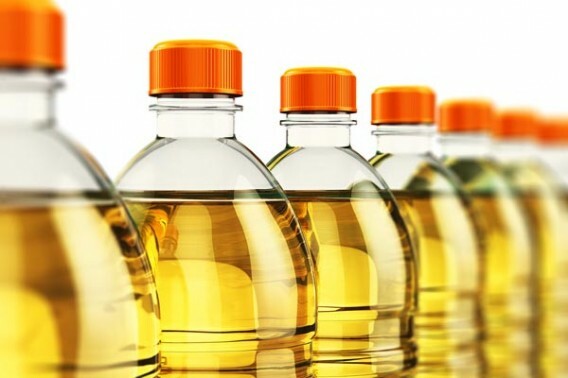 According to a new study, a genetically-modified (GM) soybean oil used widely in US restaurants can raise the risk of fatty liver disease, and may also lead to changes linked to a higher risk of diabetes. 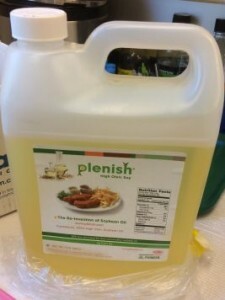 Researchers at the University of California, Riverside designed a series of high-fat diets, based on coconut oil, conventional soybean oil, or GMO soybean oil (Plenish® manufactured by DuPont), and fed them to experimental mice. Each diet had a total fat content similar to that of the typical American diet, i.e. 40% of calories from fat. The long-term results showed that coconut oil caused the least amount of weight gain of all the high-fat diets tested. “We found all three oils raised the cholesterol levels in the liver and blood, dispelling the popular myth that soybean oil reduces cholesterol levels,” added Dr. Sladek, professor of cell biology, who led the research. While the Plenish-based diet induced less insulin resistance than conventional soybean oil, its effects on diabetes and fatty liver were similar to those of conventional soybean oil. The high-fat diets rich in the GM soybean oil also led to similar degrees of liver enlargement and liver dysfunction as olive oil. Fatty liver has been linked to high olive oil consumption previously but as noted in one paper, much depends on the overall composition of the diet – for instance whether it is also high in unrefined carbohydrates – rather than just the olive oil itself. “Oxylipins in general, as bioactive signalling lipids, are increasingly being associated with inflammation, vascular permeability, and cardiovascular disease as well as diabetes, obesity-induced hypertriglyceridemia, and insulin signalling.” They acknowledge, however, that our understanding of the link between oxylipins, obesity and other aspects of the metabolic syndrome is still poor. Nevertheless, the UC Riverside researchers note that the global increase in soybean consumption worldwide parallels the rise in obesity. Figures by the US Centers for Disease Control and Prevention (CDC) indicate that 35% of the adult US population is obese, and Dr. Sladek and colleagues suggest that this obesity epidemic may be linked with soybean oil intake. They also speculate that the detrimental effects of animal fat that are observed in experimental rodents may also be related to the high levels of linoleic acid that is contained in the soybean meal fed to farm animals. Linoleic acid is an essential fatty acid, and the body requires about 1–2% linoleic acid from the diet. However, people in the US typically consume about 8–10% linoleic acid in their diets. This research team has previously investigated Plenish and found that the GMO soybean oil induced weight gain and fatty liver in mice. On the basis of their new findings, published in the journal Scientific Reports, the researchers recommend that people avoid soybean oil – conventional or GMO – as far as possible. “This might be difficult as conventional soybean oil is used in most restaurant cooking and found in most processed foods,” Deol added. While DuPont provided Plenish oil for the study, the company played no role in designing the experiments or in preparing the manuscript, and had no knowledge of the results before publication, the researchers note.